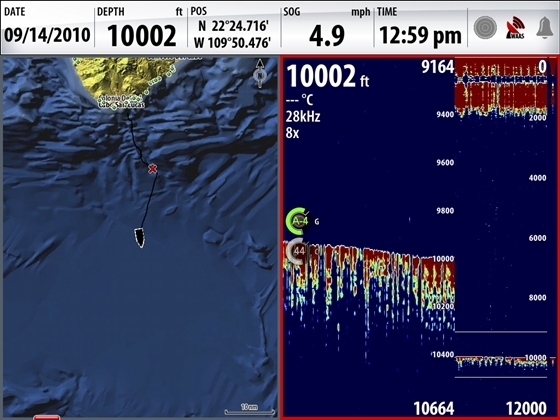 Raymarine Delivers Axiom UAV App: Fly a Drone from the Helm? 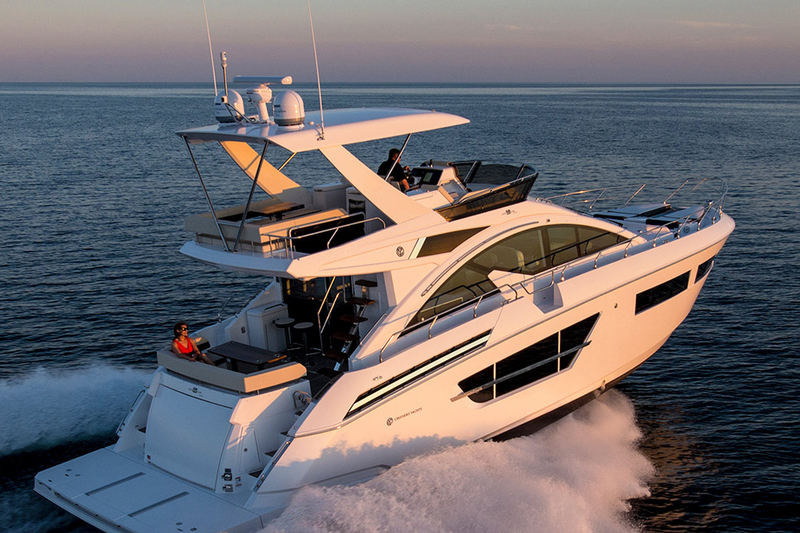 New technology in the marine industry is now allowing boaters to control a drone from the helm of their boat—how is this possible? 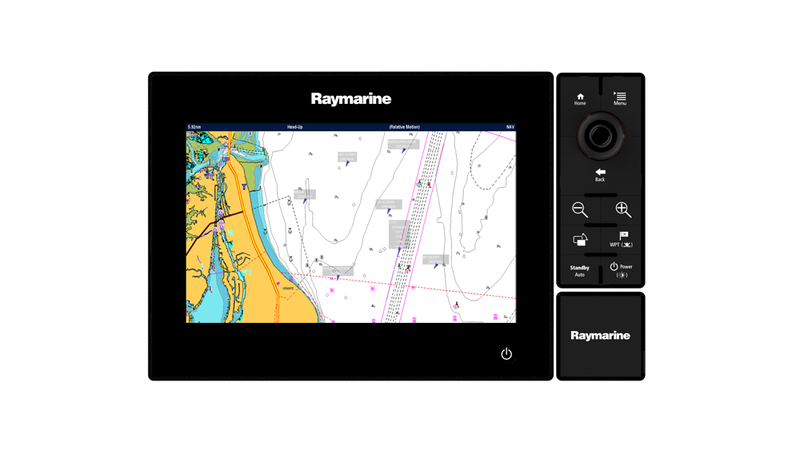 Raymarine's new Axion UAV app. Drones are becoming ubiquitous. The overall market for these unmanned aerial vehicles is projected to grow from $11 billion as of 2016 to a whopping $52 billion by 2025. And more and more often nowadays, the people buying those drones are boat owners and captains. 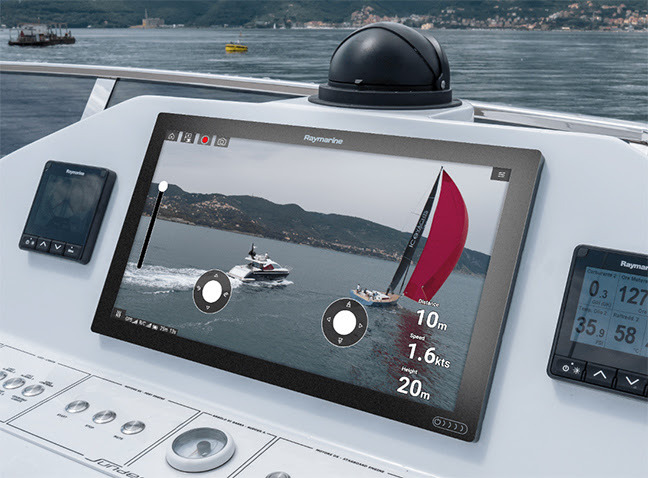 That’s why Raymarine, a leader in marine electronics, is now making it possible to control a drone from a boat’s helm—with the same type of multifunction device that boat owners and skippers are already using for everything from navigation to fish finding. 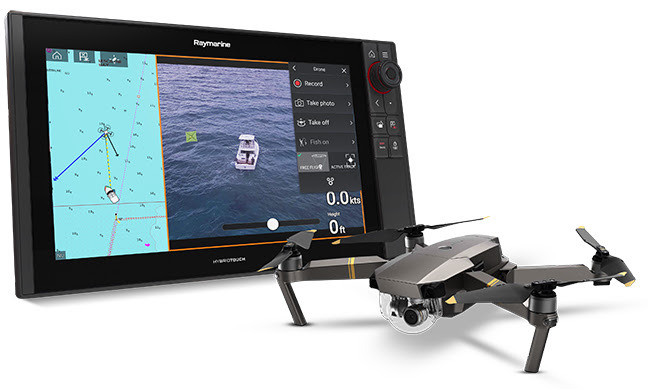 The Axiom multifunction display allows for multiple apps to be used at once—including the new UAV app, which can do everything from launch the drone to take photos in mid-air. 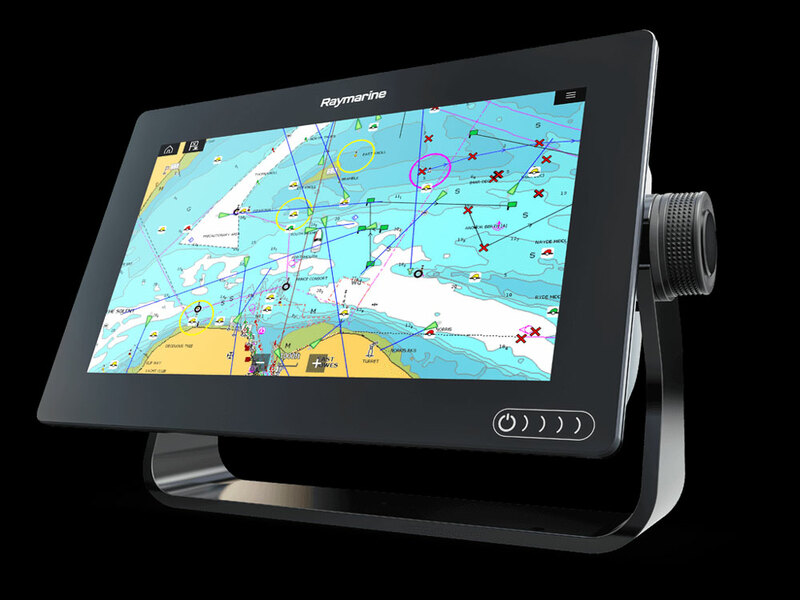 The system works through the latest LightHouse 3.6 OS update to Raymarine Axiom multifunction displays. There’s an Axiom UAV app—a free update for Axiom, Axiom Pro and Axiom XL multifunction displays—that’s compatible with the DJI Mavic Pro, one of the higher-end machines from leading drone-maker DJI. 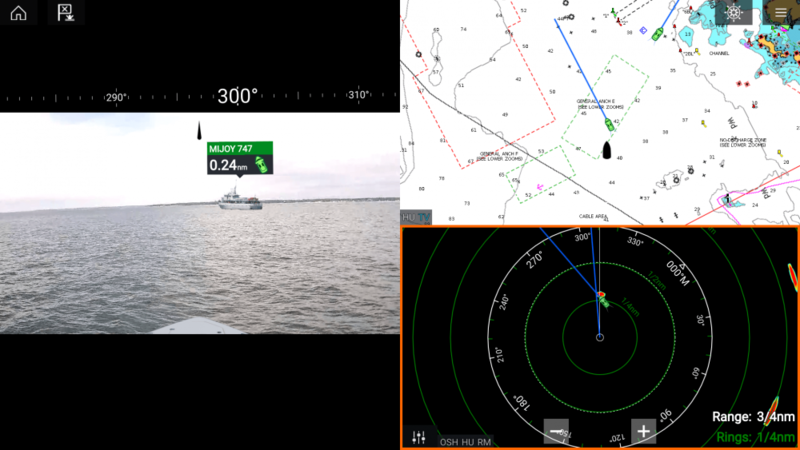 By using the Axiom UAV app through the multifunction display at a boat’s helm, a skipper can do everything from launching the drone to taking photos in mid-air to navigating the drone back to the boat (or anywhere else, for that matter). The Mavic Pro has a maximum flight time of 27 minutes and a maximum distance of 8 miles, according to DJI. 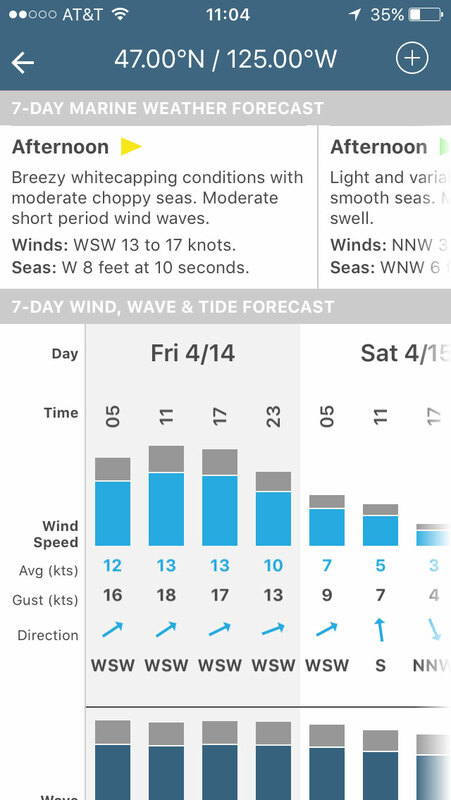 That makes it good for a number of things that boaters might need—say, scouting a fish frenzy that the multifunction display is showing on the water’s surface a mile ahead, or looking around a corner into a harbor a few miles away to see whether there’s space to anchor the boat safely. 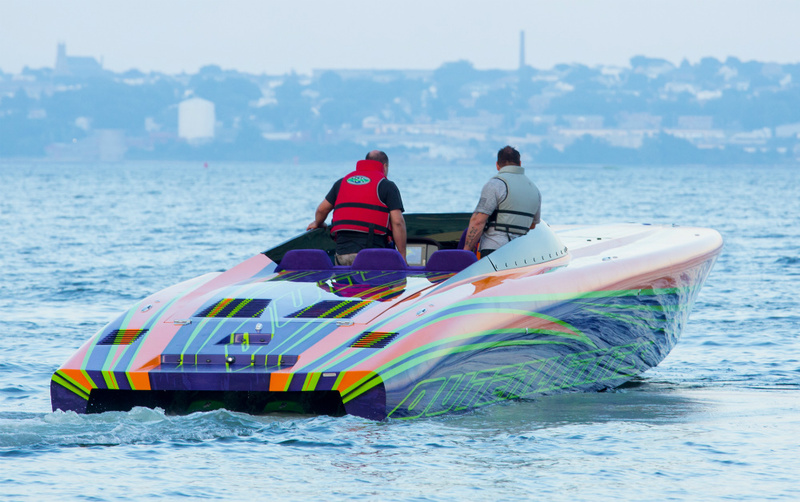 This technology is able to give boaters a new prospective on the water—with a real time aerial view. For taking photos or video, the on-screen controls let users fine-tune the drone’s altitude and camera angle. The system also has a GPS-based navigation feature that will send the drone to whatever location a skipper selects, and then have the drone hover there. All without the skipper needing to leave the boat’s helm for so much as a second.